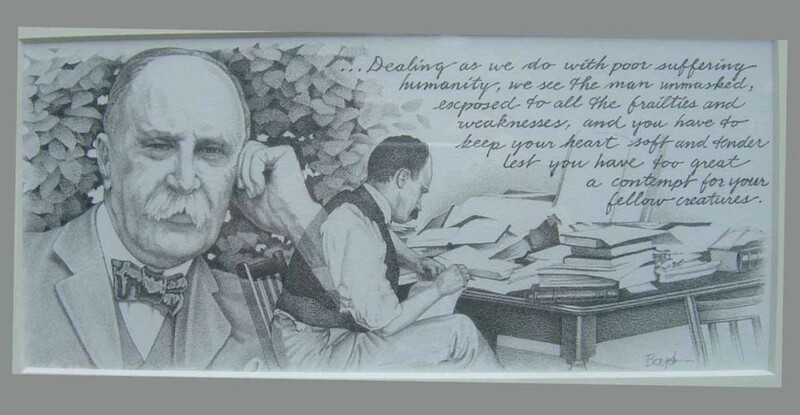 William Osler was the best known physician of his time with an insatiable interest in all fields of medicine. He was not only a pathologist and an internist, but he was also a multispecialist who contributed greatly to the field of dermatology. As an astute observer, William Osler naturally reported many of his cutaneous observations. He was meticulous in his attention to detail and authored nearly 100 publications describing cutaneous conditions. He brought clinical teaching to the bedside of patients and taught his students the power of observation. If the light were not good, he was known to swing his patient’s bed in front of the window, spending sometimes half an hour just looking at the patient and discussing things that could be seen. Osler suffered from a few skin findings of his own. Eventually, Osler himself caught smallpox. He described his attack as a “wonderfully light one” with 16 pustules total and only 2 located on his face. He was also known to have several lesions of tuberculosis verrucosa cutis, obtained from performing hundreds of post-mortem examinations on patients with tuberculosis. He had purposely refrained from treating one of the lesions on his hand in order to watch its development and describe the findings. In addition, he was known to have an angioma the size of a pin’s head on one of his fingers. This was a lesion he watched because of his interest in hereditary telangiectasia.2 Over his career, Osler lent his name to a number of cutaneous diseases, signs, and symptoms. Eponyms include Osler-Weber-Rendu disease and Osler’s nodes. Other skin conditions he would help describe include cutaneous tuberculosis, leprosy, scleroderma, hemochromatosis, erythema multiforme, ochronosis, bromhidrosis, and more. 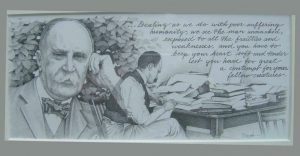 Throughout his lifetime of practicing medicine, Osler became an astute observer. He had once said, “Get the patient in a good light. Use your five senses. We miss more by not seeing than we do by not knowing. Always examine the back. Observe, record, tabulate, communicate.”3 His insistence on the art of observation and learning at the bedside has been valuable for all fields of medicine. Dermatology in particular has benefited greatly from Osler, as the skills of thoughtful inspection and description are especially important for this specialty. Savin JA. Osler and the skin. Br J Dermatol 2000;143:1–8. Osler W, Silverman ME, Murray TJ, Bryan CS. The Quotable Osler. Philadelphia: American College of Physicians; 2008. This entry was posted in Priscilla F. Ly and tagged hereditary telangiectasia, Osler nodes, Osler-Weber-Rendu, smallpox, tuberculosis verrucosa cutis, William Osler by Priscilla Ly. Bookmark the permalink.